Federal income tax returns are due on April 15 each year. 1. How Does My Withholding Affect My Taxes? The U.S. federal income tax system is a pay-as-you-go system, so while you only file your federal income tax return once per year, you pay your taxes all year long. Your employer withholds federal income taxes from your paycheck and pays them on your behalf, based on information you provided when you filled out your W-4 form. How much you need to have withheld in order to pay a bit too much through this process -- and thus receive a tax refund when you file your tax return -- depends on a number of factors. If your employer doesn't withhold enough from your paycheck, you might end up owing the government money at the end of the year. If the shortfall is significant -- more than 10 percent of your total tax obligation -- the IRS might also charge interest and a tax penalty. Although it is always preferable to get a tax refund rather than to owe taxes, you're better off not having too much tax withheld. Otherwise, you end up giving the government an interest-free loan. Your tax withholding goal should be to match your actual tax liability as closely as possible. Form W-4 is the paperwork that tells your employer how much money to withhold from your paycheck. You probably filled one out when you went to work for your employer, and you might not have thought of it since. That could be a problem if there have been changes to the tax laws or significant changes in your life. The IRS recommends checking your W-4 withholding if you take on a second job or you have a change in the number of family members -- for example, if you get married or have a baby. Unless you make updates, your employer will still withhold taxes based on your outdated information, and you might not get the refund you were expecting. You can update your W-4 at any time, and as many times as you wish. 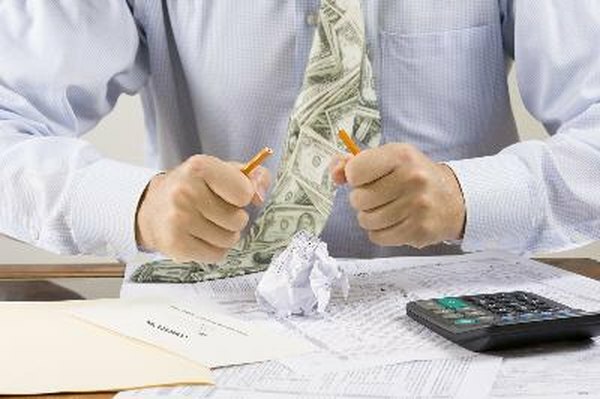 Your employer withholds tax money from your paycheck based on the number of allowances you claim, plus any additional amount you specify. You can typically claim one allowance for yourself, one for your spouse and one for each of your dependents. There are a number of adjustments for two-income families, head of household families, individuals who hold down more than one job, and taxpayers who plan to itemize their deductions. The number of allowances on your W-4 is not necessarily the same as the number of exemptions you claim when you file your federal income tax return. The Internal Revenue Service provides an online withholding calculator to help you determine whether the proper amount of income tax is being withheld from your paycheck. If you have filled out your W-4 correctly and the number of allowances you've claimed is insufficient to provide you with a tax refund, you have the option of designating a specific additional amount to be withheld from your paycheck. Determine the total additional amount you want withheld for the year and divide it by the number of paychecks you will receive. Fill out a new W-4 and put that amount in Box 6. Check your next couple of pay stubs to make sure the proper amount is being withheld. Ask CPA Sam: A New W-4 Every Year? What Are the Maximum Allowances You Can Put on Your Tax Return? What Is a FITW Deduction?